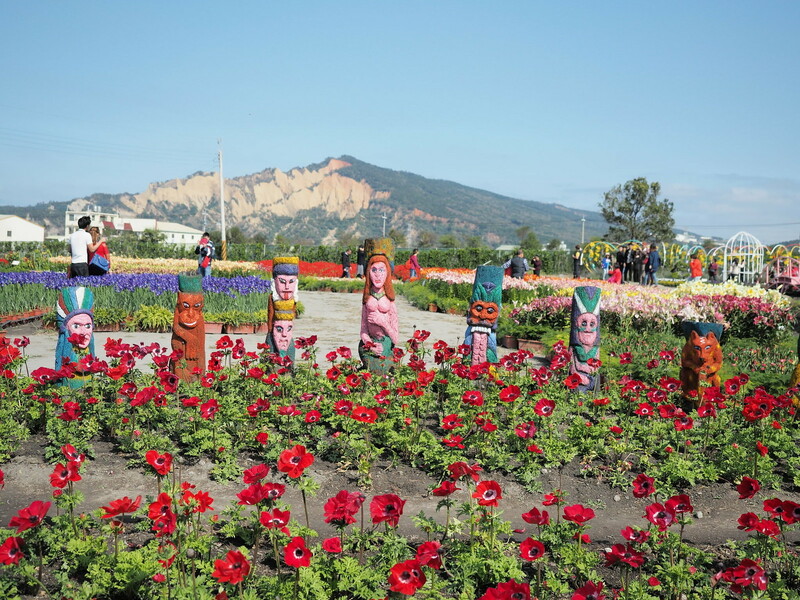 Chungshe Flower Garden (中社觀光花市) at Houli Township, Taichung city is our next Taiwan destination after experience the past life of Taiwan at Taiwan Times Village (寶島時代村) at Nantou County. 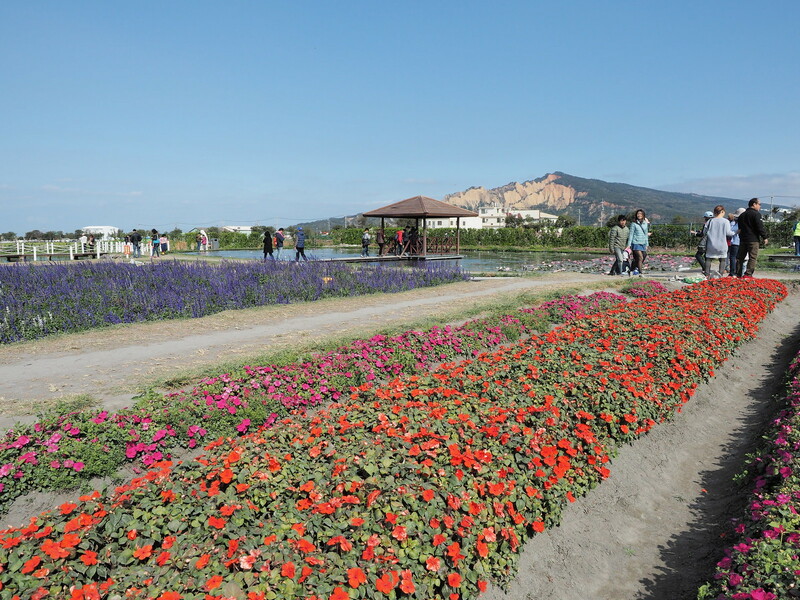 Chungshe Flower Garden (中社觀光花市) is a very big garden with beautiful landscape of flowers to admire. I’m not really into flowers and I might name some of the flowers inaccurately. Please correct me if you noticed any flower is named wrong by me. 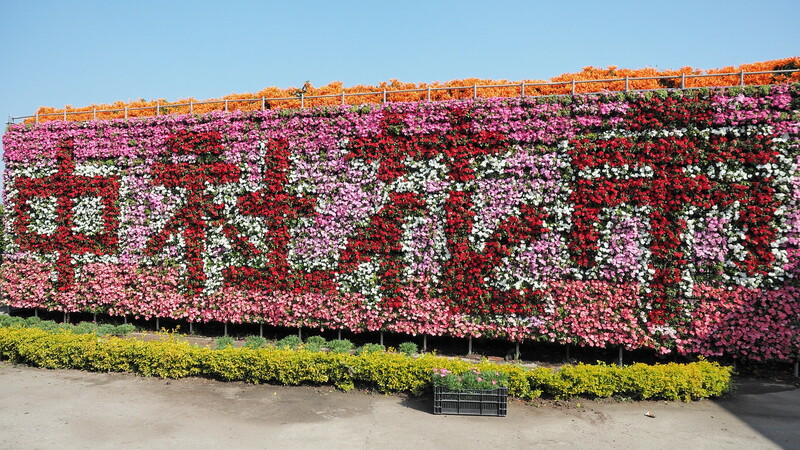 Chungshe Flower Garden (中社觀光花市) covers a very big area of six hectares. The landscapes here actually change according to four seasons of winter, spring, summer and autumn. 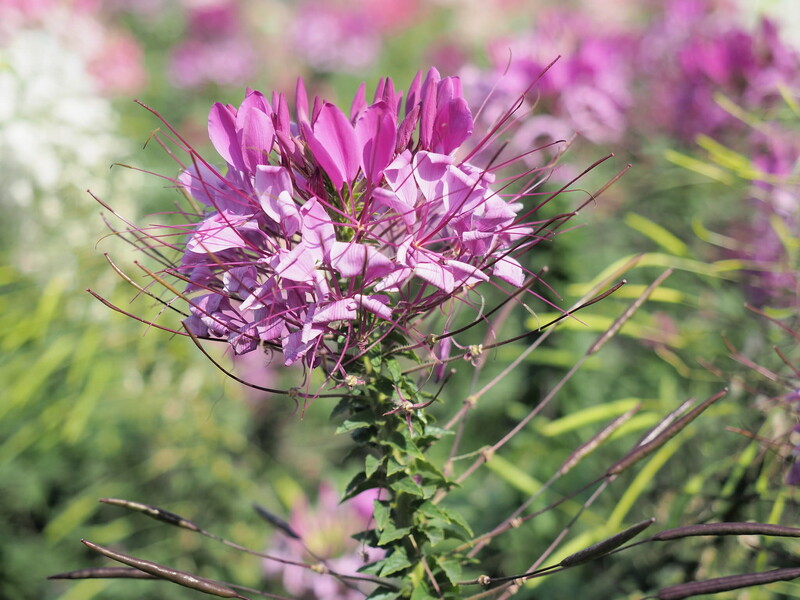 So, no matter what time you visit this garden, there are flowers for you to admire. You can refer to the flowers table in their website’s link. According to the website also, there is a unique technique of refrigeration applied in the garden. This technique can regulate the flowering time and allows 150,000 tulip flowers of different types to be grown. 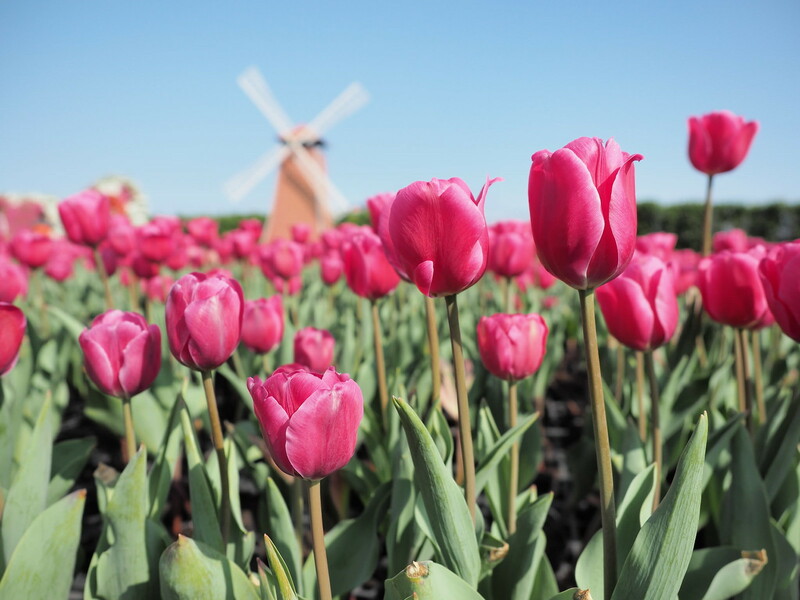 The blooming time for the tulip is from January to March every year. Of course, it is not just tulip flowers, let’s see some of the other flowers photos I took at this tourist attractions of Taiwan. 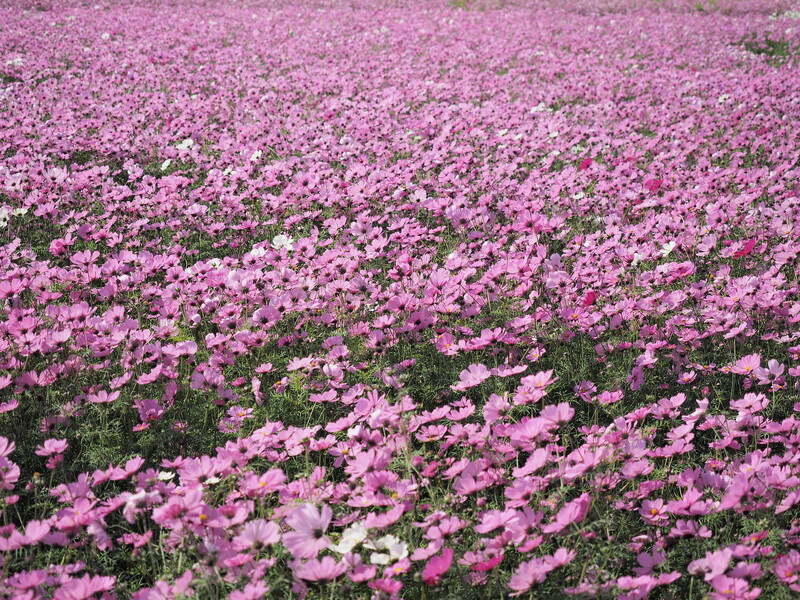 Chungshe Flower Garden (中社觀光花市) has amazing landscape of flowers. The first thing we spotted here is this windmill. Not sure if it is a real windmill since there is no strong wind on the day we visited. 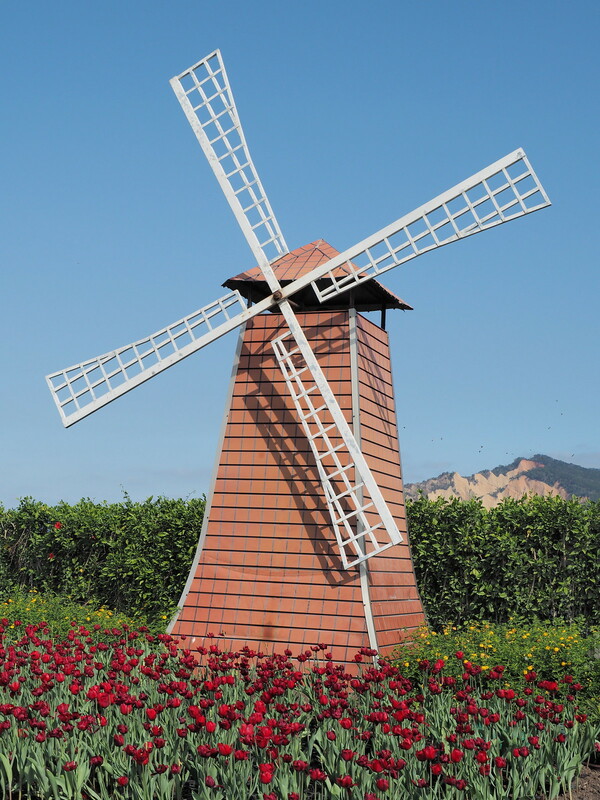 There are other European style structures here such as this windmill, so it is a nice spot for wedding photography. 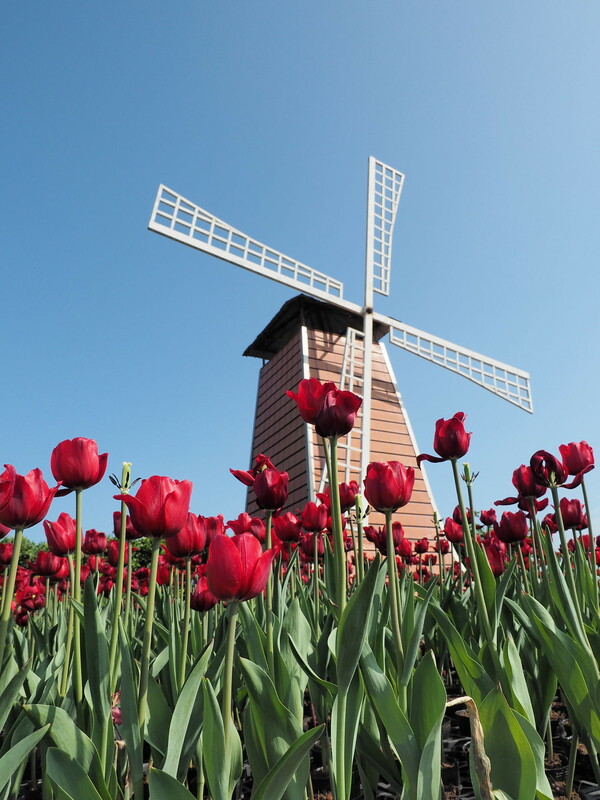 Took another photo of the windmill with the beautiful red tulip flowers. There are so many tulips here. First time in my life I see so many flowers in one place. Closer photos of the red tulip. 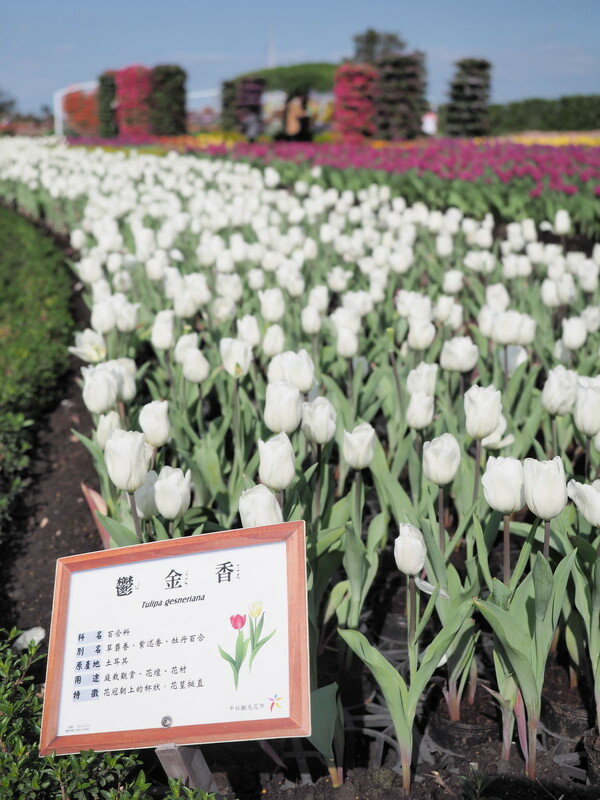 There are many different colors of tulips here at Chungshe Flower Garden (中社觀光花市), but the red one is my favourite. 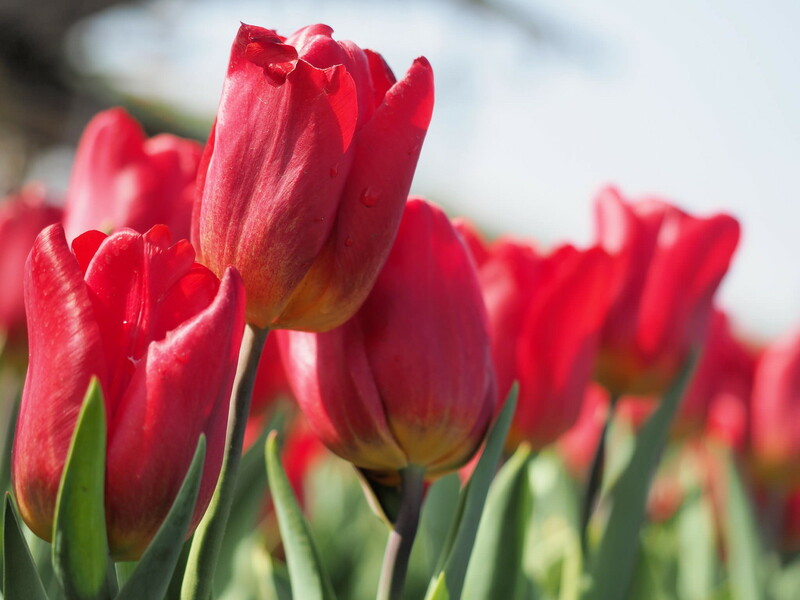 Another photo of the beautiful blossoming red tulips flower. Besides the red tulip, there are also white and yellow tulips. 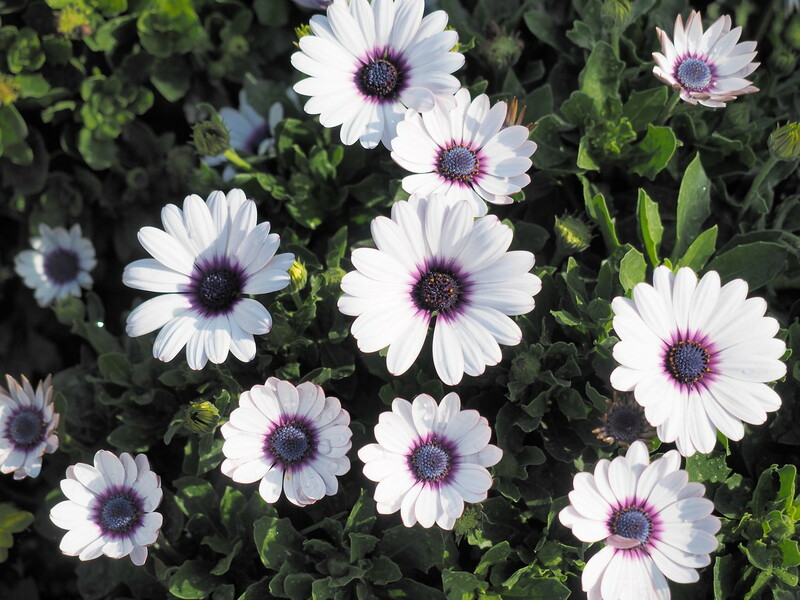 Those beautiful flowers with white petals are Osteospermum, or African daisies according to Google Image. 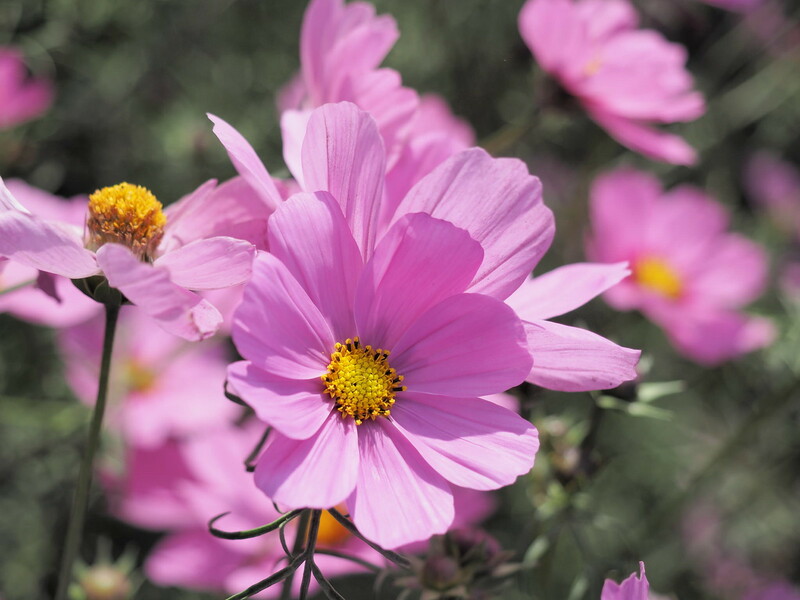 Another type of flower that caught my attention at Chungshe Flower Garden (中社觀光花市) is this Mexican Aster or Garden Cosmos. Again, the name is found by using Google Image. Saw some bees collecting nectar from the blossoming flowers and decided to do some bees photography. 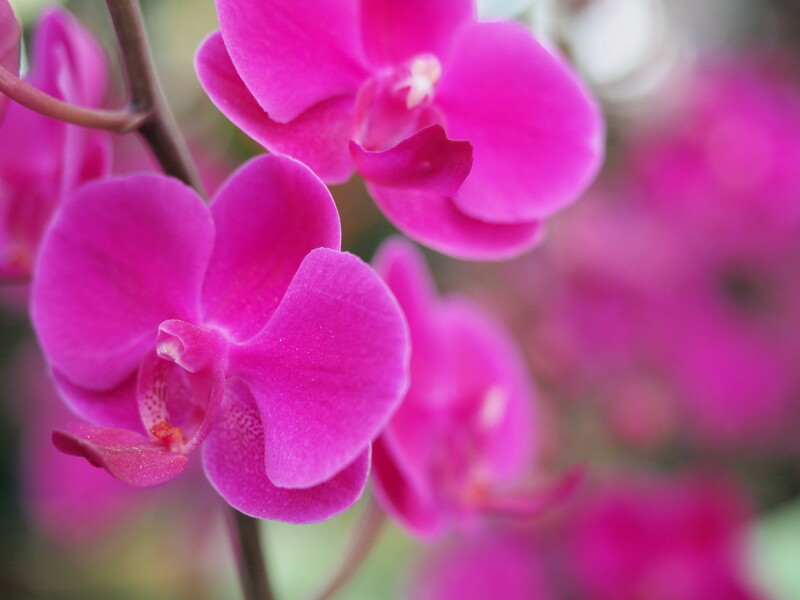 Orchid is also available here at this flower garden. 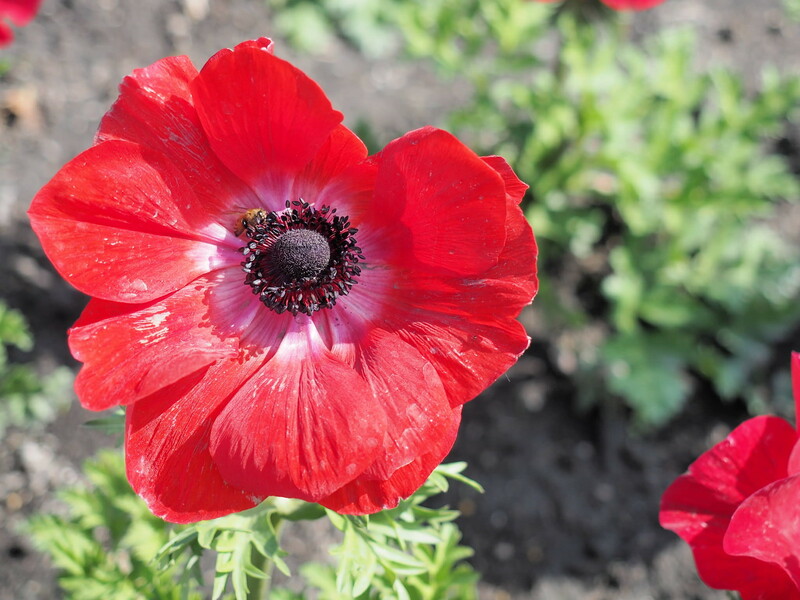 This red flower is named Poppy, if Google Image found me the correct name. 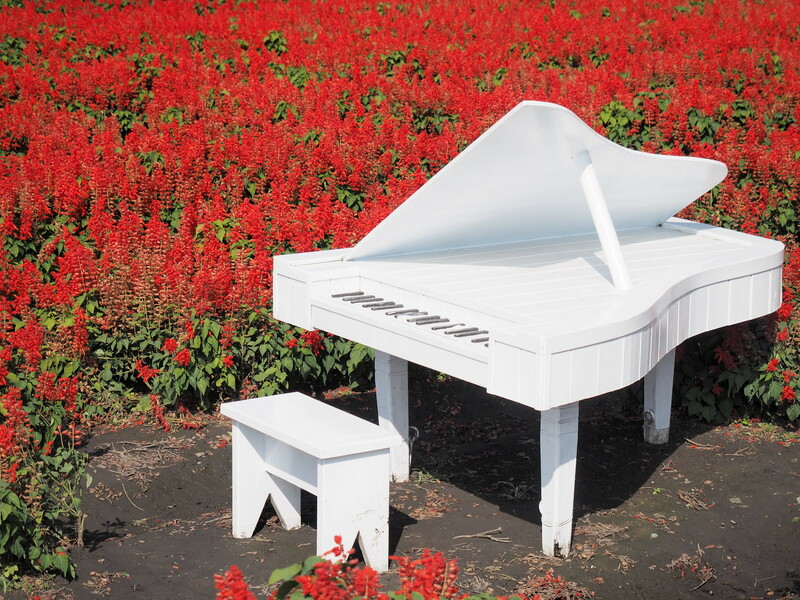 Another attraction here at Chungshe Flower Garden (中社觀光花市) is this white grand piano for photography. There are many other musical instruments as well such as violin, harp and drum set. 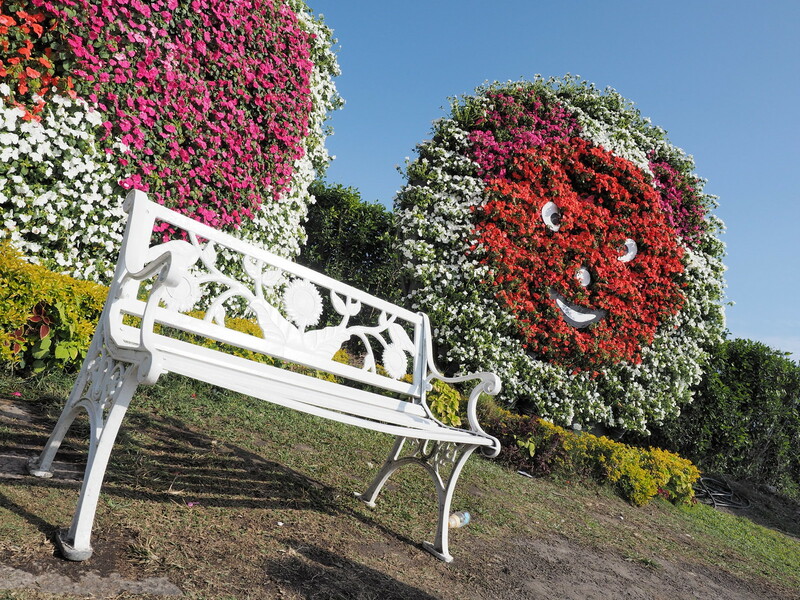 Another photography spot is this white chair with big flowers smilie. The eyes look a bit fierce to me though. 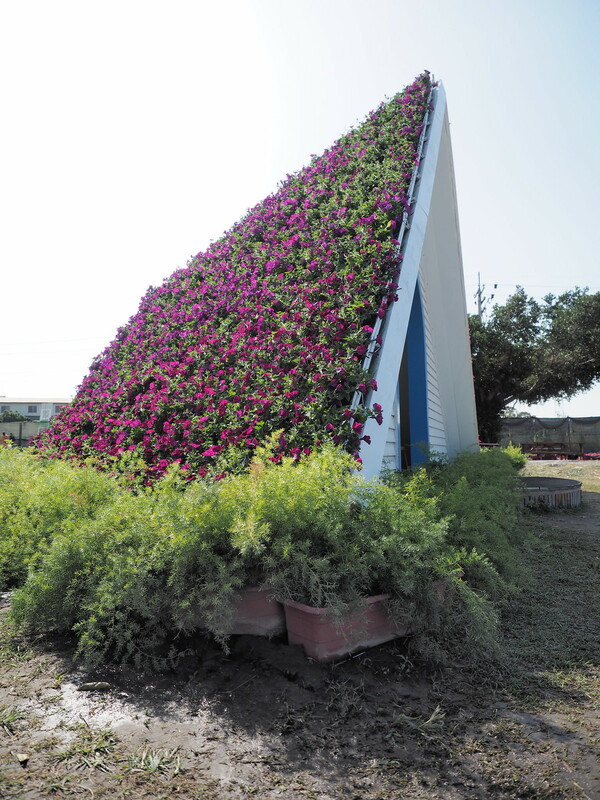 Spotted this triangle shaped chalet covered with plants and flowers. Not really sure what it is really used for besides photograph. Another nice spot for wedding photography. 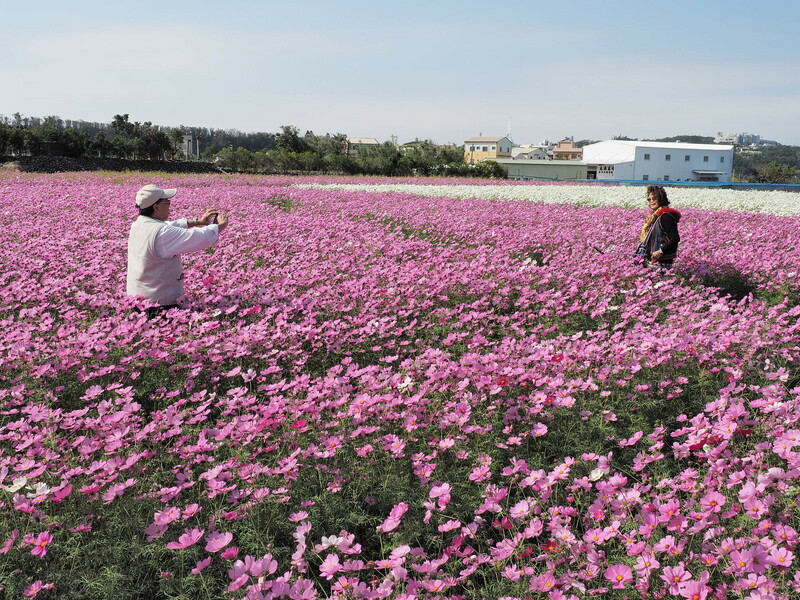 Saw this husband taking photos of his wife in the sea of flowers. Another beautiful flower which Google Image failed to tell me the name. Most of the flowers here have names and explanation such as this white tulip. Sea of tulip flowers. Really a lot of flowers, right? 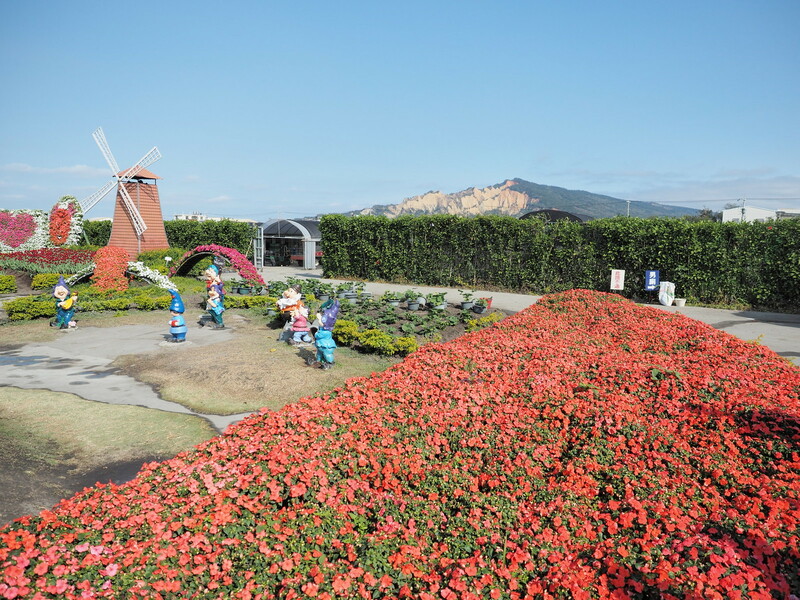 Beds of flowers with Huoyan Mountain 火焰山 in the background. Not really sure if can visit the mountain. More seas of flowers, flowers everywhere you go in the garden. You are surrounded by nothing but flowers. Some wooden statues with the Huoyan Mountain 火焰山 behind. Not really sure what are the wooden statues represent. I saw got monkey, dogs and human statues. Another photo of Huoyan Mountain 火焰山 at the flower market. 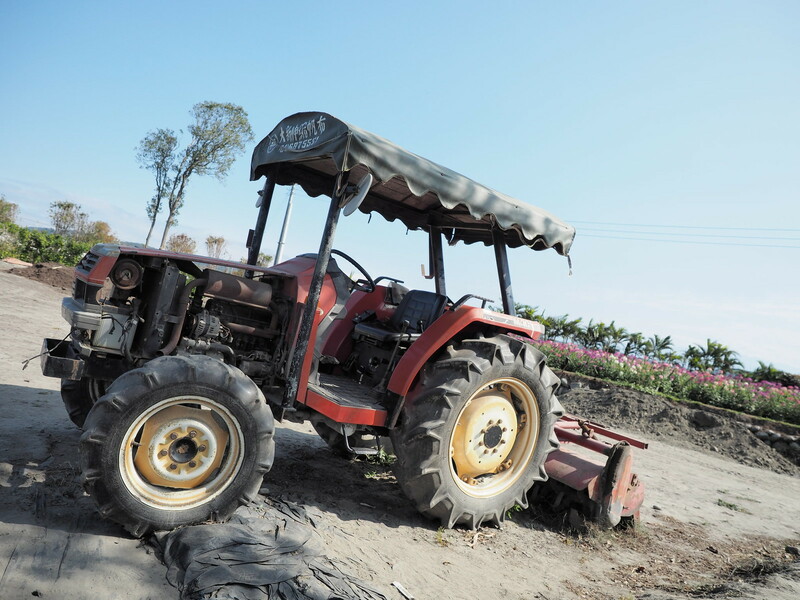 Spotted this tractor on the way out from Chungshe Flower Garden (中社觀光花市). Not sure if it is for decoration only or really used for gardening here. 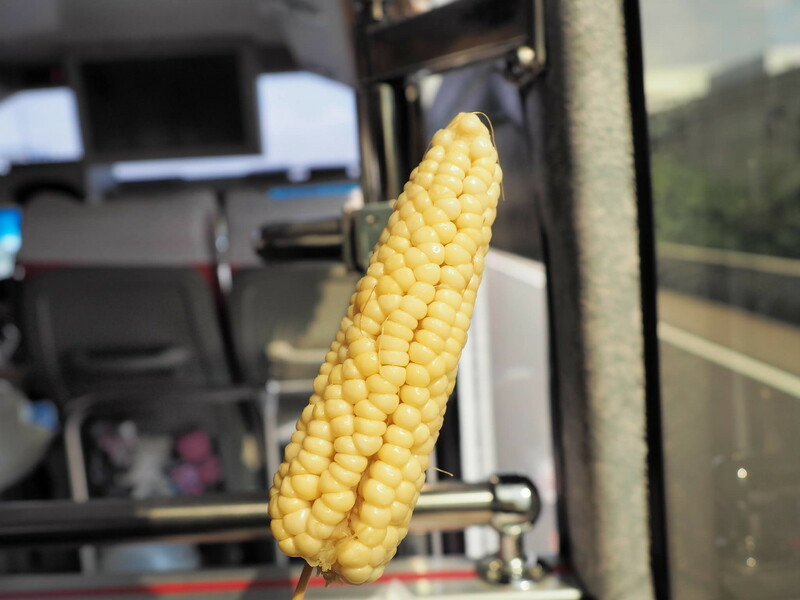 Steamed corn is everywhere in Taiwan. Bought another one to fill the hungry tummy while on the way to our next destination. 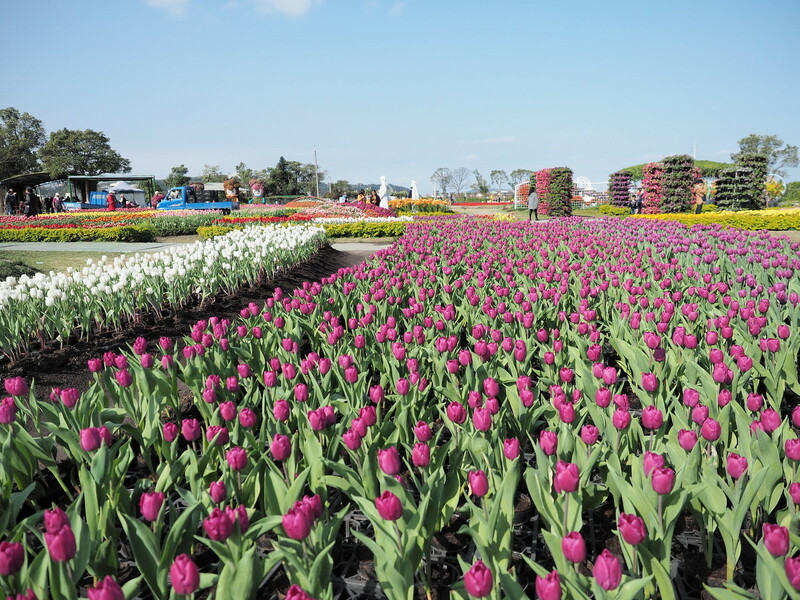 Is it worth to visit this flower garden for your Taiwan trip? I would say yes if you love flowers. 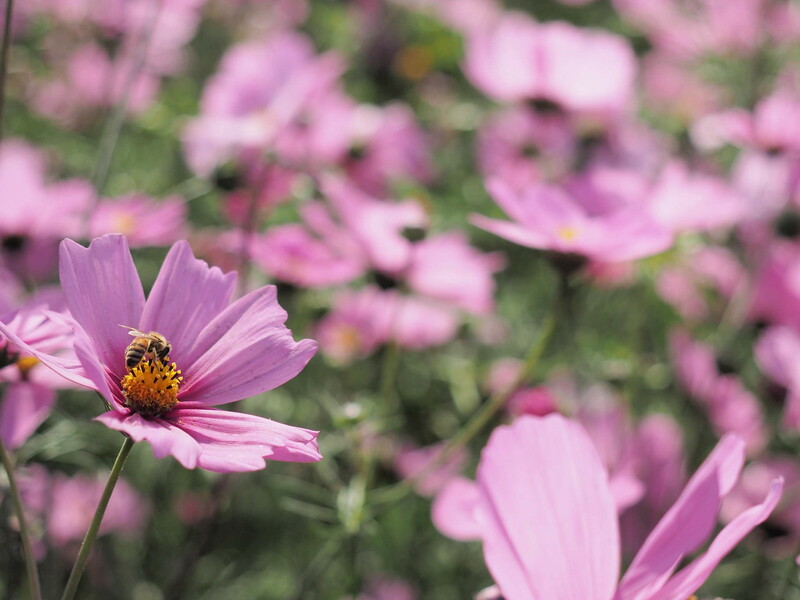 Even if you are not a flower’s lover, it is still worth to visit because the flowers here are really beautiful and well taken care of. The landscape is really big and there are not many places where you can see so many types of flowers in one location. Gong to Taiwan? Click here to view all my Taiwan Trip blog posts.